Beautiful ranch tucked away in the desirable Planters Row. 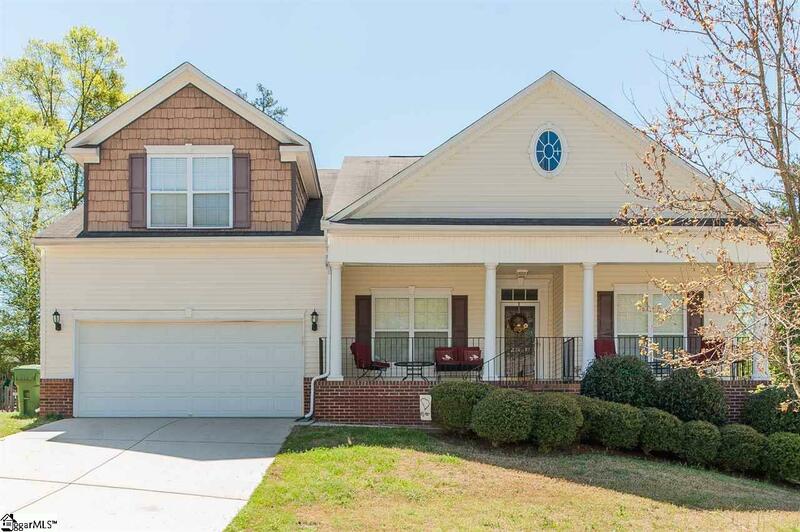 First feature you&apos;ll notice is the huge plantation style front porch perfect for sipping on your favorite beverage and enjoying this spring weather! Walk in the front door and enjoy the 5in hardwood floors that take you throughout the entire living space! Roomy kitchen including Granite countertops, double inset sink and beautiful backsplash to top it off. FOUR bedrooms on the main level! Master is tucked in the corner of home for privacy and includes a large private bath with walk in shower, garden tub for the soakers, walk in closet, double sink and ceramic tile! Upstairs hosts a large bonus with tons of room for the kids or man/lady cave! Come and get it before its gone!! !